UPDATE: Livestream Coachella weekend 1 HERE. 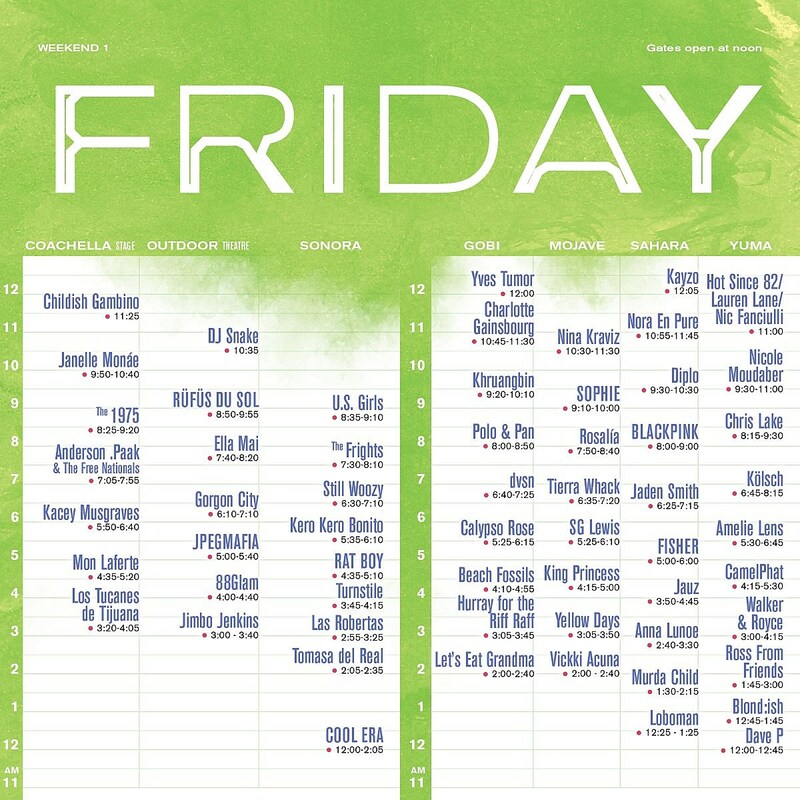 Coachella begins this Friday (minus Solange). If you’re not going, you can stream it live, and if you are going, you can check out the set times, which are now announced. Conflicts on Friday include The 1975 vs U.S. Girls, Rosalia vs BLACKPINK, and Khruangbin vs SOPHIE vs Diplo. 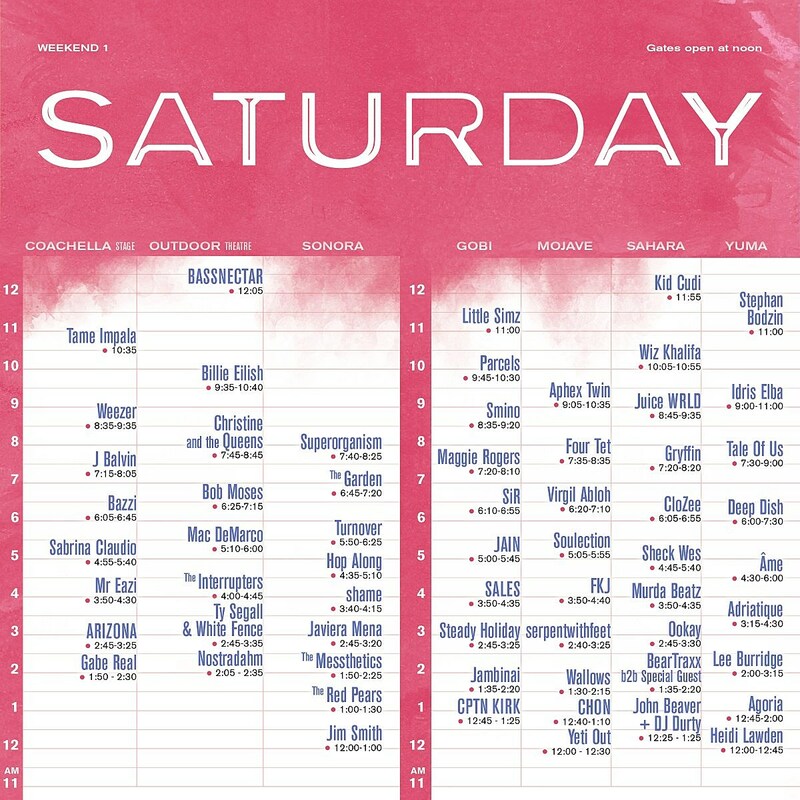 Conflicts on Saturday include Tame Impala vs Little Simz, Billie Eilish vs Aphex Twin vs DJ Idris Elba, Weezer vs Smino, Christine and the Queens vs Superorganism vs Maggie Rogers vs Four Tet, Mac DeMarco vs Turnover, and Hop Along vs Sheck Wes. 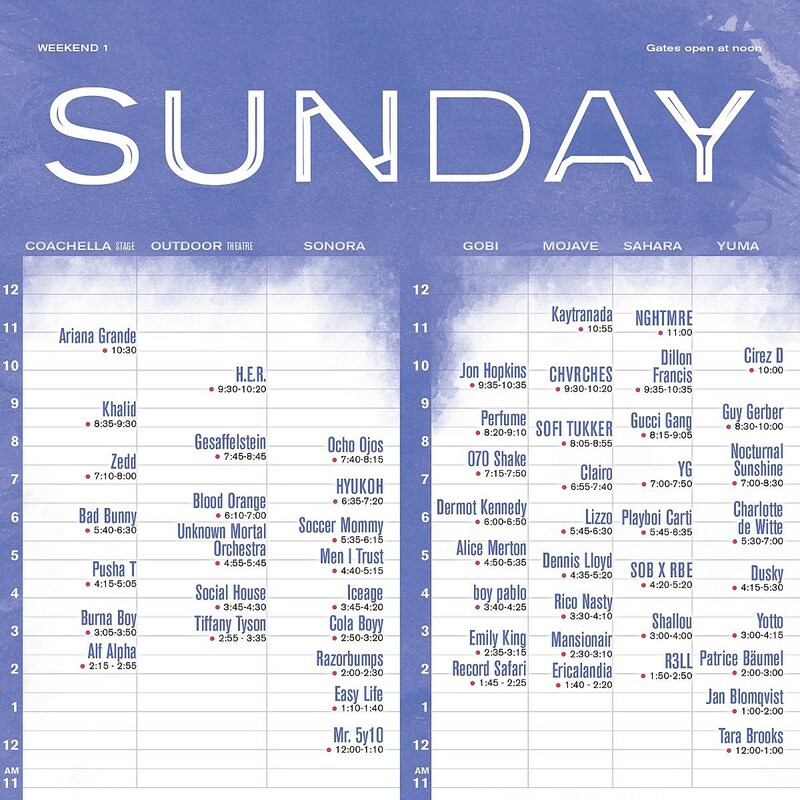 Conflicts on Sunday include Ariana Grande vs Kaytranada, H.E.R vs Jon Hopkins vs CHVRCHES, Bad Bunny vs Soccer Mommy vs Lizzo vs Playboi Carti, Unknown Mortal Orchestra vs Men I Trust, Pusha T vs SOB x RBE, and Iceage vs Rico Nasty. If you’re looking for suggestions of who to see, check out our lists of 15 lower-poster acts we’re excited for and 10 more artists we’re excited to see. Also, anyone going may want to check out the Coachella sideshows or Kanye’s Easter Sunday Service. Pictures of Coachella 2018 are in the gallery above.